Birchbox is offering a FREE Mystery Bonus Box with new subscriptions. New subscribers can use coupon code “DOUBLEFUN” at checkout. Enter code DOUBLEFUN in Promo Code Field at checkout to redeem 5 free mystery beauty samples. Your samples will be included with your first Birchbox shipment within 10 business days of your order date. Valid for new subscribers only; offer available while supplies last. 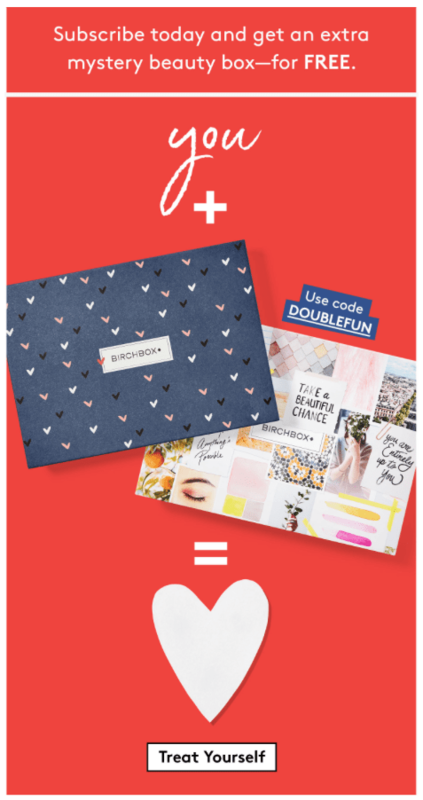 Birchbox ($10/month) offers 4-6 (sometimes more) hand-picked beauty and lifestyle samples, delivered to your door each month. ← EXTENDED! KiwiCo 50% Off Coupon Code!